We’d love your help. 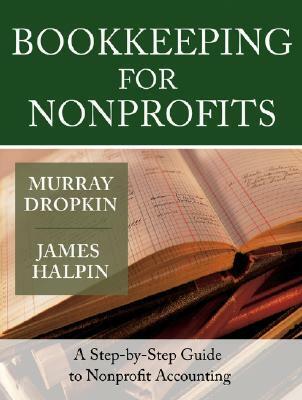 Let us know what’s wrong with this preview of Bookkeeping for Nonprofits by Murray Dropkin. Discusses how transactions provide day-to-day information for tracking cash balances and cash requirements Shows how transactions provide information to management and the board of directors for budgeting and other essential tasks Explains basic bookkeeping concepts, such as the accounting equation, the chart of accounts, and income and expense tracking Guides readers through the nuts and bolts of recording a transaction Provides an overview of alternative recordkeeping methodologies and how to choose among them Designed to be easy to use, the book is filled with illustrations and checklists. 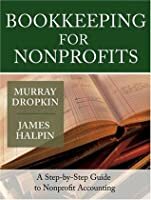 To ask other readers questions about Bookkeeping for Nonprofits, please sign up. finally making some headway into understanding ledgers. "by definition, a set of books is balanced when the sum of the total of all accounts equals zero. in order for this to be possible, some accounts will have a debit (positive) balance and others will have a credit (negative) balance. to make sense of the accounting equation when analyzing a ledger, you need to know which accounts normally have a debit balance and which accounts normally have a credit balance... net assets normally have a finally making some headway into understanding ledgers. "by definition, a set of books is balanced when the sum of the total of all accounts equals zero. in order for this to be possible, some accounts will have a debit (positive) balance and others will have a credit (negative) balance. 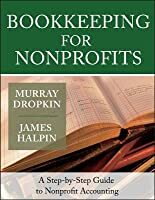 to make sense of the accounting equation when analyzing a ledger, you need to know which accounts normally have a debit balance and which accounts normally have a credit balance... net assets normally have a credit balance...revenues normally have a credit balance...expenses normally have a debit balance." not intuitive! why would assets and net assets have opposite signs! accumulated depreciation is an asset? why? normally has a credit balance. other assets are normally debit. Too U.S.-Centric for my purposes, but clearly a useful basic NFP bookkeeping guide. Well laid out and organised.